Hola, Jolene Navarro checking in from Central California. Yes, I have left my Texas Hill Country to start the year and my 50th birthday with a little adventure. 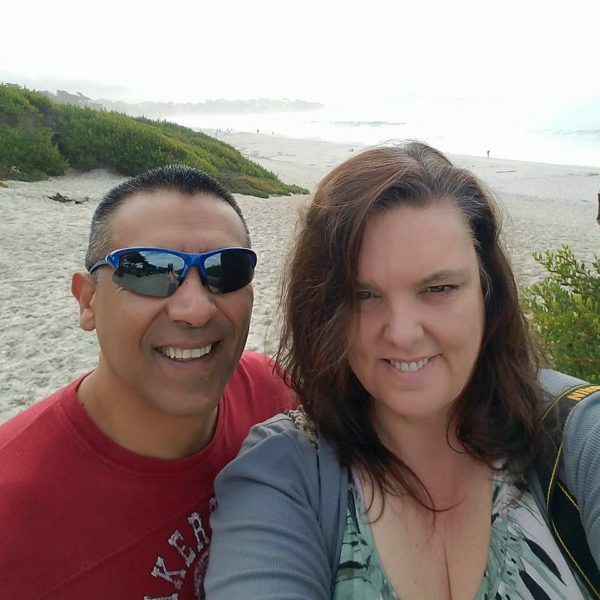 My husband and I are on a road trip from Carmel by the Sea, Big Sur, Castle Hearst then up to San Fransico. We are halfway through our itinerary. Lunch at Nepenthe (tel. 1 831 667 2345; www.nepenthebigsur.com), an indoor-outdoor restaurant perched 800 feet above the sea and famous for its views. It was raining so we sat inside, behind a wall of glass. The next day we hiked the Point Lobos State Reserve. Here you can see the power of the ocean collide with the strength earth made up of stone. It was breathtaking. Today we will be heading to Hearst Castle. 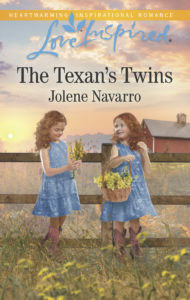 I’m also celebrating the release of my ninth published book, The Texan’s Twins, which hit the top twenty in Publishers weekly. I feel I’m dreaming with my eyes wide open. So 2018 is a bit of a milestone for me. The big 50! Right now I’m living in the soundtrack of the Greatest Showman. Have you seen the movie? It’s inspiring, especially if you have a creative mindset. I downloaded the soundtrack as soon as I got home. THIS IS ME. Is one of my favorites: Look out because here I come. I’m not scared to be seen, I make no apologies. This me! As children of God, we should not hide who he has made us to be. So go see the movie, sing along with the soundtrack, take an adventure and read a good book. Enjoy life. 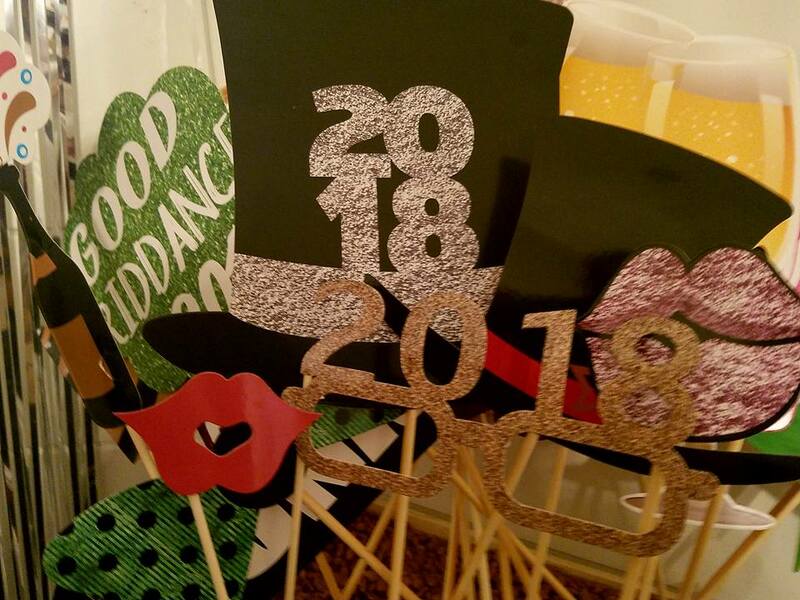 How do you celebrate milestones? Hi Jolene, congrats on 50 years:) Milestones are so important and taking a road trip is an awesome way to celebrate. Point Lobos State Reserve reminds me of Whalers Way, a favourite spot of mine here in Australia. 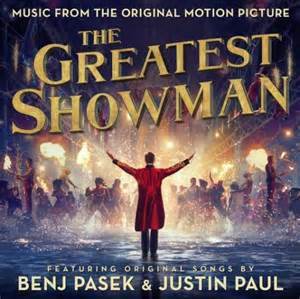 I have not heard of the Greatest Showman- will have to look it up and listen to the soundtrack. Enjoy the rest of your holiday- will you share more photos next post? Happy Birthday! Enjoy your trip! I have never left the East Coast of the USA so it sounds very exciting. What a great way to celebrate your 50th! Safe travels! Happy birthday! Those are beautiful pictures and bring back memories of our trips to the West Coast. I’ll check out the movie and try to remember to look for the dvd when it’s available. Happy Birthday Jolene! Congratulations on your new release. Celebrating milestones and making memories are important. Over the years I have been blest to travel coast to coast and 9 foreign countries. I enjoyed our trip to California with our two older boys. 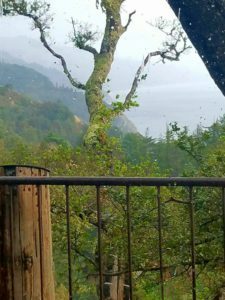 The Pacific coastline and the redwoods will always be etched in my memory. Thanks for sharing pictures. Blessings in 2018. Happy writing. Happy Birthday. It sounds like you are having fun on your trip. Happy, Happy Birthday! Your trip sounds like a fun trip! We usually celebrate our milestones by having a favorite meal or going to a restaurant, and sometimes a movie. But we do a lot of traveling during the year, because our 6 children are spread out in 4 time zones, from Connecticut to California We got to see all 7 of our grandchildren just before Christmas. We totaled up miles for last year, and it was around 10,000 miles! I’ve never seen the Castle. Have fun!!! 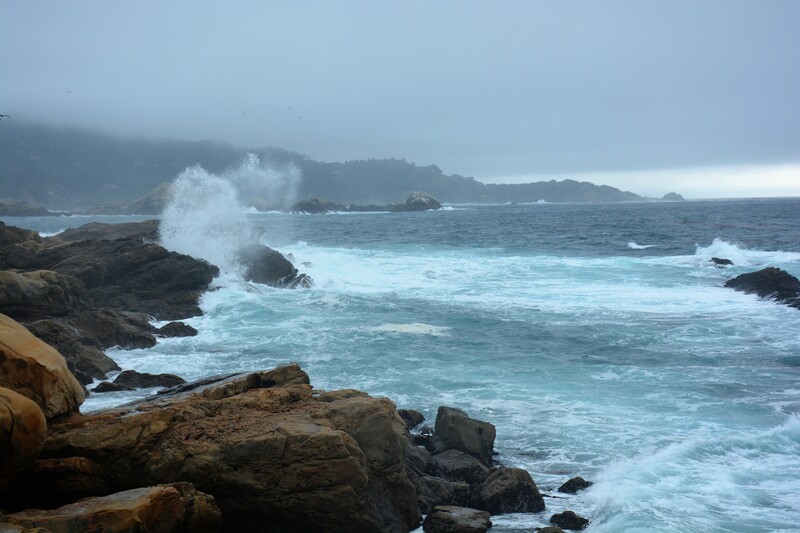 Jolene – we were just at Point Lobos on Tuesday! I’m glad you’re getting to see some of the best parts of my home area (I live near Santa Cruz). Happy birthday!! Wow! Hope you have a fabulous time! We are cold here , so I envy you! congratulations and happy birthday. what a great way to celebrate. Happy birthday! It sounds like a wonderful road trip. There are some beautiful views up that way. Happy Birthday! Hub and I share it with you! Health issues prevent us from traveling, but we have memories of past trips. Hope you have a safe and great time….enjoyed the pictures! Happy Birthday! Taking a trip is a great way to celebrate a milestone! Happy Birthday, Jolene! What a great way to enjoy your 50th. Congrats on your new release, too! Happy Birthday! Wonderful photos! Glad you are having fun! Happy, happy birthday! It looks like you’re having a blast! I’m so proud of all you’ve accomplished and all you will accomplish. Thank you for always encouraging me and for your words of help. 50. It hit that a few years back but my way to celebrate that milestone was to train for, and do a 50K (31.7 mile) race. It was such a huge accomplishment and reminded me I’m not to old to do anything I put my mind to! Safe travels my friend! Happy birthday! You’re celebrating in my neck of the woods, or country. I’m right there on the central coast of California in Salinas. Have a wonderful time.